TCAT is happy to welcome two new members to its team this fall. Tessa Nasca is joining TCAT as the Community Coordinator for TCAT’s Active Neighbourhoods project, and Yvonne Verlinden is starting as Project Coordinator with our Scarborough Cycles project. Tessa will build on the successes of TCAT’s Active Neighbourhoods pilot program, which ran from 2013-2017. Through this program, TCAT directly supported four communities to test participatory planning tools and advance community-identified urban design solutions that promote physical activity and foster green, active, and healthy neighbourhoods. Between 2017 and 2020, TCAT will work with our national partners in Calgary and Montreal to scale up our efforts to expand the reach and impact of our successful approach to benefit communities across Canada. In addition to coordinating this work, Tessa will support our community partner, GreenUP, in a three-year participatory planning project called NeighbourPLAN, which will engage three Peterborough neighbourhoods to directly support people as they develop the tools, confidence, relationships, and language necessary to influence the public spaces that matter to them. 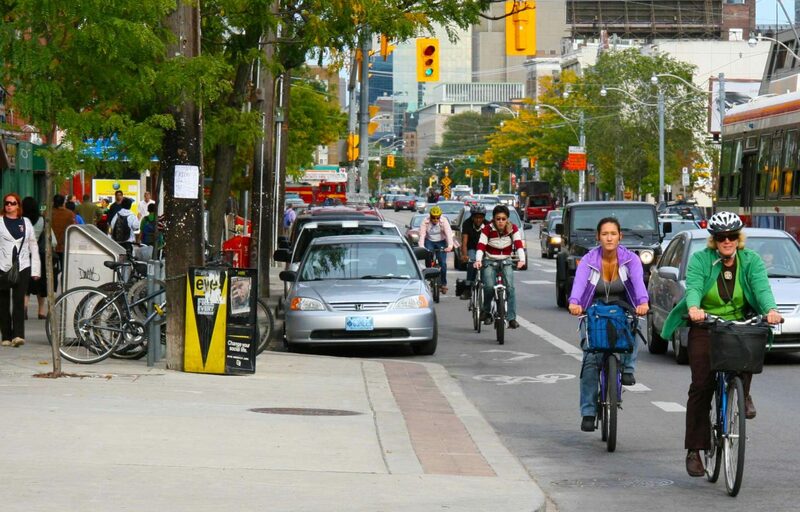 Tessa brings a background in active transportation advocacy and urban design, and they are dedicated to creating more accessible and participatory planning processes. Tessa holds a Master of Arts in Sustainability Studies from Trent University, and they were fortunate to work as a researcher for the first phase of the Active Neighbourhoods project in Peterborough. Yvonne joins Scarborough Cycles as the project enters its sustainability planning and knowledge dissemination phases. The TCAT-led project seeks to build bike culture beyond the downtown, and over the past two years has launched and operated two community bike hubs in Scarborough, managed by Hub Coordinator Marvin Macaraig. Yvonne will support strategic planning efforts as the hubs transition over to the host community organizations of Birchmount Bluffs Neighbourhood Centre and Access Alliance Multicultural Health and Community Services. She will then work to share the knowledge that we’ve gathered related to building suburban cycling culture through a series of accessible reports and workshops. Yvonne recently completed a Master of Urban Planning at Ryerson University with a focus on active transportation. She has worked as a writer for the Ministry of Transportation, and previously on TCAT projects such as the economic evaluation of the pilot bike lanes on Bloor Street and a feasibility study on driver training related to sharing the road with cyclists. TCAT is thrilled to welcome Tessa and Yvonne to the team as we start the next phases of these two exciting projects.